In Genesis 3:16, God said to Adam and Eve after they sinned, “Thy desire shall be to thy husband and he shall rule over thee.” Have you ever studied what this means? If they had written this today, feminists would have burned these two men at the stake. I can tell you that neither one of them bother me in the least in what they wrote since I am wise enough to clearly see the differences between the sexes, unlike many feminists today who have fought against this for many years. I will be honest with you, I am far weaker than Ken in strength and stamina. I am not his equal with him in this area in any way, shape, or form. Even the Bible states that we are the weaker vessel (1 Peter 3:7). We see in nature exactly what God has said that the woman is the weaker vessel. The vessel refers to a woman’s exterior, not her intelligence, character or person-hood. But indeed her body is not made to take the bruising impact of a football game, or to build bridges and buildings. She is rarely stronger than a man and a war of men against women would not be much of a contest. The only reason that a woman can participate now in war, protect herself and even provide for herself and family is because of technology. It is technology that equalizes the playing field with men in many ways, not that she can compare to a man’s physical characteristics or match the effects of testosterone that courses through his body. Women are much more vulnerable when it comes to being raped and kidnapped. Men are stronger, faster, and heavier than most women. It is men who have built all of the big, heavy things in our world, conquered nations, and committed the greater crimes. As wives, God has placed us under our husbands and we are to be in subjection to them. Even Sarah, Abraham’s wife, was known for calling him lord (1 Peter 3:6). At any moment in time men could decide to put women back to where nature has her placed and women would be able to do nothing about it. The only reason why women are able to have equality with men is because men grant it, not because women can mandate it. If you have a problem with this, don’t blame me, or men, but blame nature and God’s perfect design in creating women as the perfect complement to men, and men built to rule over nature. Now many men throughout the centuries have used their strength in evil ways against women and this should never take place but even with the feminists’ agenda being so pervasive today, women are still being physically and sexually abused all over the world. This is a fallen and sinful world and no matter how much feminists say that men and women are equal, women will never be equal to men in strength and might. It is a fact of nature so this will always cause pain for many women but it is also good for many women. Men are the protectors of women because of their strength. Billions of men have given their lives in protection for women and children. They have built most everything we use and enjoy. Many men use their strength and superiority over women for good, thankfully. God’s will for godly men is to rule with wisdom and love over their wives and godly women should obey their husbands with humility and meekness, as Matthew Henry wrote. If you have a husband who uses his strength and might to provide and protect your family, appreciate him and treat him with the respect he deserves. If you have a disobedient husband, follow God’s instruction in 1 Peter 3:1-6 and treat him with the respect the Lord calls you to give him. If you have an evil husband who uses his strength and might to physically abuse you, call the authorities. There will always be great and good men and there will always be bad and evil men, just as there are great and good women and bad and evil women. Marriage is the beautiful fulfillment of God’s intention that masculinity and femininity attract each other to become one flesh. You, as women who love the Lord, be godly women who obey the Lord by respecting and obeying the husbands you have committed to for life. Most women are attracted to the strength and might of men and this is as natural as a magnet attracts a positive and negative force together. Your femininity should crave the masculinity of your husband and his masculinity should crave the femininity of you, his wife, to use his gifts to be the protector and provider of you and your family. I have a question about the two passages at the beginning of your post. One of them says “…whereas thou wast made thy husband’s equal, thou shalt henceforward be his inferior” whereas the other says “if the woman had not sinned, she would always have obeyed with humility and meekness.” It seems that one believes that before sin, husband and wife were of equal status, and the other believes that even before sin it was the role of the woman to obey. So these two gentlemen seem to have contradicting views and I’m not sure which is the biblical answer. Remember, these are two men’s opinions of how the relationship was before the Fall and after. We know that Eve was created after Adam, was more easily deceived, and was to be Adam’s help meet. So Adam was Eve’s leader but he didn’t “rule” over her. Since I am not sure how to answer you, I have asked Ken’s opinion! I understand the confusion, and I am not sure that anyone knows for sure God’s full design for a sinless and perfectly harmonious state into which Adam and Eve were created. So we see here the commentators theological speculation based on what they understand fro, the glimpses giving in scripture on the matter. What we do know is that rulership of the whole earth appears to be given mankind, “male and female.” No one man could rule the earth himself, so woman was made to help him do so. This woman was to be a “helper” to him. His equal in value and importance, his source of passing down generation after generation not only the mandate to rule the earth, but also a special personal relationship with God walking in the garden. Eve is never excluded from Adam when it comes to the full work of dominion over the earth and just as important a direct personal relationship with God. So when the Benson says, ” whereas thou wast made thy husband’s equal, thou shalt henceforward be his inferior,” he appears to just be showing an accurate record of what happened pre-curse, and post-curse. I see Matthew Henry not addressing the issue of roles between husband and wife prior to the fall. If she is created to be his helper, does that not imply that Adam would be the leader and she the follower? Two equals, just like you and your children are equal, but require someone to lead. I see Mathew Henry’s comment ““if the woman had not sinned, she would always have obeyed with humility and meekness,” as consistent with Benson, in that he too sees woman as “always obeying man” if there had been no fall. The fall only allowed sin to warp the relationship between man and woman and to give woman a desire to be a ruler herself instead of the man’s helper for which she was created. I think both believe commentators see men and women with equal status, but differing roles before the fall, and after the fall a battle of the sexes has raged throughout history with women often being subjugated in ways that God detests for male leadership. Men leading badly and women helping and following badly. That is the result of the selfishness that the sin of the garden introduced and is still being carried out today around the world, even in America. What we find in America is a desire to get back to the perfect sinless state of the garden where women are treated fairly and some would say “equally.” This goal is a good thing, and some of what the woman’s movement has brought to us has been better for women in a few ways. As with most movements in a sinful world, many feminists have pushed way beyond what God intended and into a desire to “be like man” and its not a possibility without genetic and physical changes. They also then do not honor God’s intent for husbands to lovingly lead and a wife to willingly and respectfully follow. The battle of the sexes is similar to mankind’s desire to be God and act like God of their world, and destiny, and no matter how many technological advances mankind makes, we can never replace the Creator. Feminism will not recognize male leadership in the home as a good thing, but wants women to equally rule men. This of course is impossible in that in every relationship one ultimately has a leader and follower. God has already done this for marriage and the church, which one might surmise based on his set up of Adam as first and Eve as helper, God believes men make better stronger leaders in general. But if society chooses female leaders in a fallen world I am not opposed. Our concern is for doing things God’s ways in Christian families and the Church, and we have no designs on trying to make America or the world into a Theocracy, or to eradicate sin, apart from giving the good news of salvation in Christ Jesus. A careful review of scripture will reveal that there is material confusion in the church about the role of male and female, in the design of God; even among big names in the church. 1) only Adam, the male, was created in the image of God, the “us” triune Godhead 2) only Adam, the male, has dominion over creation 3) Adam did not knowingly eat the fruit of the tree of the knowledge of good and evil – succumbing to deception; only Eve. Why is this important to discuss, to verify, to know? It is because it speaks to the relative condition of man to his wife and to the biblical understanding of marriage, the most important relationship on earth, the very foundation for all other relationships, and the very model for the elect in their Christian walk, in their marriage to Christ as the church. Marriage is about the man and his lead just as the marriage of Christ is about Him and His lead. God does not want woman leading man, nor taking his glory, nor woman giving glory directly to God; she glorifies the man. I know this is a startling conversation and it does take many scriptures to point this out [which I am writing about] but hopefully a seed is planted. If there is some equality between man and woman, if the man’s authority over his wife is not absolute, then you are saying that some other authority has to step in and fill the void as the absolute authority – as the ‘final say.’ And what the church effectively says is that the wife fills that supposed void. Even if she is using her claimed ‘final authority’ of the scriptures to override her husband, what is really happening at the very base of that thought is that she is using her PERSONAL authority to judge or determine what scripture says …and that supposed authority of a wife is not found anywhere in the scriptures. In fact, quite the opposite occurs. The authority of scripture is to have the man determine what scripture says and explain it to the woman, even if he is wrong [she submits ‘in everything’]. Woman never apply or teach scripture to man. They clearly do not have authority in the scripture to do so. A woman is NEVER the head or in charge over a man*, which necessarily means she takes his authority away, as the church claims women have some right to do. Eve tried to take the authority of God away by effectively saying God was wrong or stupid to deprive her of knowledge and of decision making ….of authority. So she deceived herself that she had to step in with her Illicit not-in-everything Authority. Things have not changed. Women make their lives out of doing this. Why? The why is Gen 3:16. And that does not describe the magnitude of what is happening: woman is selling death and in turn distribute it – many times subtly — to their husband and kids and family, and friends and church. Eve chose death over life and that’s what all women do to varying degrees. Equality = death. And the discussion of it means a choice of death. Eve essentially said that God [a male] cannot be trusted. Woman essentially says that Christ [a male] as the Word become flesh can’t be trusted – that she cannot “submit in everything” in scripture [for she knows better than God]. And woman says man cannot be trusted, so she reserves the right to override him in the final analysis – not allowing man to rule over her. The healing of the church starts with women choosing life; relinquishing their Illicit Authority; being ruled. 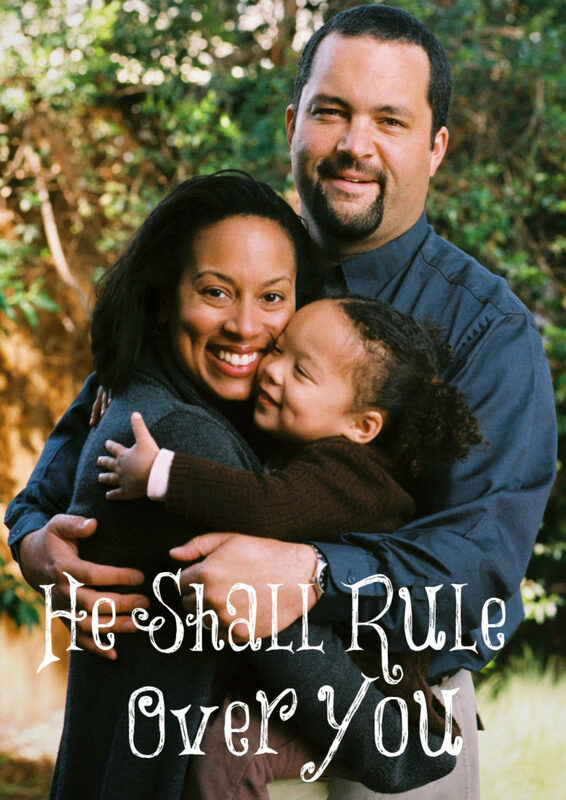 Hierarchy: as Christ submitted to the father, so do men submit to Christ, and so do women submit to husband [men]. That is how the image of God grows in all. I am not sure what to make completely of your comments, Dave, but it strikes me as an interesting point that most men, including Christian men are doing exactly what you write wives/women are doing to men. I recall back in the day when I would be so frustrated with Lori’s subtle and sometimes not so subtle rebellion and her desire to be in control, and in praying to the Lord about it, He would remind me that the way she was living towards me was exactly how I was living towards Him. In a wife’s rebellion or being difficult with her husband, we can agree it is derived from her desire to be autonomous and in control of her own life. Yet the husband is too often not immune to this very thing, and hence an interesting parallel. I counsel godly men who are at their wits end at times with their difficult wives and I have to remind them that they must press forward with their love and their calling out sin as they find it in their wife, but also be sure that they are not in rebellion to God in their own sins. Ironically, or probably providentially, it was not until I exposed my own sins to the light and began to deal with them that God did a mighty work in my wife’s life to reveal her sin and heal her of the disease of wanting to be her own autonomous god of her life. Much of your treatise may be correct, although I can’t find any Biblical basis to support some of your comment. But we must keep it in perspective that far too often a husband is in subtle or open rebellion to God in the same way his wife is in rebellion to him, and this is God’s living illustration of what he must endure from us. 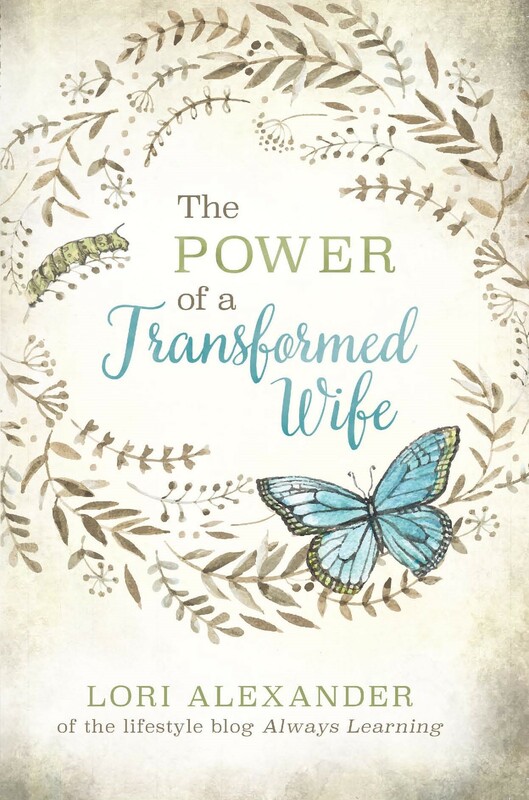 It is a beautiful thing when both husband and wife lay down their rebellion and desire for autonomy and fall under the Lordship of Jesus Christ with their lives and in turn with their marriage. Marriage done God’s way is so magnificent, and so is faith done God’s way. To learn to trust Him even when a wife is in rebellion, to love, even when she is unlovely, to protect and care for her even when she is undeserving, just like God does with all His children. Thanks for your thoughtful response. Most certainly all men have to be diligent in respect, submission, and obedience to God. But the point is that is none of the woman’s business. Never. If she reserves that right she is demanding some authority over her man by judging him. And just like murder in the heart, a woman can do this in her heart with no one noticing – except her husband. The idea of proposing a man repent or change right along-side his wife is classic church destruction: preaching or counseling in a subtle format that their positions are somewhat equal. A leader should never be corrected in front of subordinates; that aids to destroy the Sanctity of Command. And for women to fully recover from their Illicit Authority they need to see that how their husbands act is none of their business, and thereby I suggest that that discussion should not be a part of a blog like this. Thanks for taking the time to interact. Blessings. I know, Dave. You and other men feel strongly that if any woman is given an out to look at her husband’s sin she will not repent and change. We do see that in many cases, but that does not change the truth that what is happening in many marriages today is a living illustration of mankind’s rebellion against God. My thinking is that anyone looking for an excuse will find one, and anyone looking for the truth will always look in the mirror first at themselves, and even if they are not perfect, or close to perfect, that should not stop them from asking their wife to consider their own relationship to the Lard as it relates to their state towards their husband. Our state before God is influenced by all of our sins, especially sins of rebellion towards authority. Both husband and wife are under authority, husband under the authority of Christ and wife under Christ’s authority and in turn her husband’s, or she is not obedient to Christ. Ken, I believe partnerships can have two leaders. In particular, many dental offices are structured this way. Have you found they are not successful? Of the 22 million or so businesses in America only 1.6 million or 7% are partnerships. Of all the other businesses some can have a certain equality in the leadership, but almost always one CEO and one Chairman of the Board is assigned. It has been said that the average Dental partnership lasts 5 years. In my experience I think its longer than that, but they survive because of forced concessions or they are not true partnerships in how you would see a marriage. In marriage everything is shared, income, expenses, profits, etc, but in most dental partnerships the facility and team may be shared, but the work is individually assigned to each dentist and they pay their portion of the expenses and receive their appropriate portion of profits based on what they produce. This greatly limits the amount of stress that appears in most partnerships. I may work harder than you, but I get to keep my profits, even if I pay for a little bit of your expenses. Translate that to marriage and you can see where the fight begins in the partnership. First, how does one value homemaking and child rearing vs. working outside the home in a job? What if my partner is sick or disabled? In my home I carry the extra burden and her 401K and livelihood continues based on what I produce. But in a dental partnership, if I did not buy my own disability insurance, which is very expensive, I may only get a few dollars of what I might normally make as my partner owes me nothing. Lastly, most dental partnerships also assign a permanent Managing Principle who makes many of the final decisions, unless it may significantly affect the pay of the other partner(s). This is often the role maintained by the senior dentist who sold part of his practice to the junior dentist. The junior dentists bides his time until the senior dentist leaves and then brings in another partner who waits his/her turn to lead. When personalities and decisions conflict, many partners bolt from the partnership and a big mess happens with litigation, unless the partnership is structure up from with defined separation clauses. So a dental partnership as you can see is not much of a marriage, except for a marriage of convenience until such time it is no longer convenient for one of the partners. Then they end. A marriage was always intended to be 100 – 100%, not 50-50%. There is a big difference, and there has to be trust that the partner will be trying hard to contribute to the family unit because the contributions are so lopsided in most cases. How do you measure the value of having a baby, or nurturing a family vs. a man like me who works 55 hours a week in a highly successful and stressful job? How do I compare my value to a wife who now has all her children grown up and now has a full-time unpaid job ministering to tens of thousands of people each day? I don’t. In a marriage what I produce she produces and what she produces I produce. We are one unit and we don’t need to compare anything because we are both trying to outdo the other in what we create for the family and the family of God. No partnership can hold up to our marriage as no partner wants to work their tail off so the other doesn’t have to worry about her provisions and home. A good husband is one who is trying to insure that his wife and children are well-cared for and lack for nothing, and a partner is trying to only do their fair share and get the proper reward for what they do in the partnership. I hope this helps explain the huge differences I see as one who has put together and taken a part of many dental practice partnerships. When marriage is done God’s way there can be voiced concerns that a spouse is not doing their part in the relationship, but the commitment to do my 100% part always trumps any need to insure that I am getting fairly treated in return. One of the things doled out in churches is that if the husband leads in the right way his wife will follow. My question to those poor ignorant pastors is: So does that mean that when we sin (which is rebellion) on a daily basis against Christ (our Husband), He (Christ) is not leading us the right way? Did God not lead the right way in the garden, so Eve didn’t have to submit to God, and could rebel against God’s only command? She had one command to follow… One. The church leaders of today will not confront the fact that wives/women sin and that their husbands are not the sole fault. Yes Jeff, I have heard that many times from pastors and I am not sure where they get this from as it is not necessarily scriptural. But I think it comes from a past era when indeed husbands were far too often not being kind, generous or understanding with their wives and these wives understood their role and submission to authority of their husbands. My Dad and my pastor told me this: “Just love her,” and never once mentioned that Christ/God speaks truth to His church and applies discipline to those who walk in rebellion. I have been somewhat actively working with three quite godly guys who have rebellious wives. Two of the three probably have “borderline personality disorder” and an inability to bond with their husband. The longer their sins are left untreated the more they seem to drift or fall into craziness. I have counseled these guys to indeed love their wives, treat them tenderly, but also to call out sin each time they see it. Yesterday I told one of them to just say “sin” or “that is sinful,” each time his wife launches into a tirade of nasty words or says mean things, or does mean things. A godly husband is responsible for first his own behavior, and then the correction of a difficult or rebellious wife in a reasonable manner. Does this produce change in a wife? There is something about Christian women in rebellion that they just seem to get more and more stubborn until such time as they really step out of bounds and then they will cry and apologize and ask why their husbands stay with them. They admit they are at fault, but can’t seem to find the faith and strength and obedience it takes to correct their sins, and are unwilling to allow a husband to help for very long. I always keep hope for any relationship that God will do His mighty work, but it seems to take years when confronting many difficult wives, and only months when confronting sinful Christian husbands. So I agree with you, pastors are so far off base on this issue, but remember, many Christian women will run and get the pastor involved with their difficult or sinful husband, but many men don’t seek help feeling as if it is a failure of some sort on their part to ask the church for help. Two of the three women in these relationships I counsel go to church regularly and no one would know what they are doing in their homes. At least the pastor and his wife should know for accountability and prayers sake.